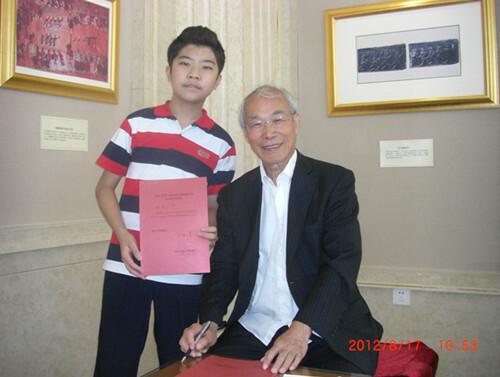 24 August 2014, Tian Yuan and the Schoenfeld International string competition, chairman of the judges, before the Cleveland Institute of music director Mr David. Seron . 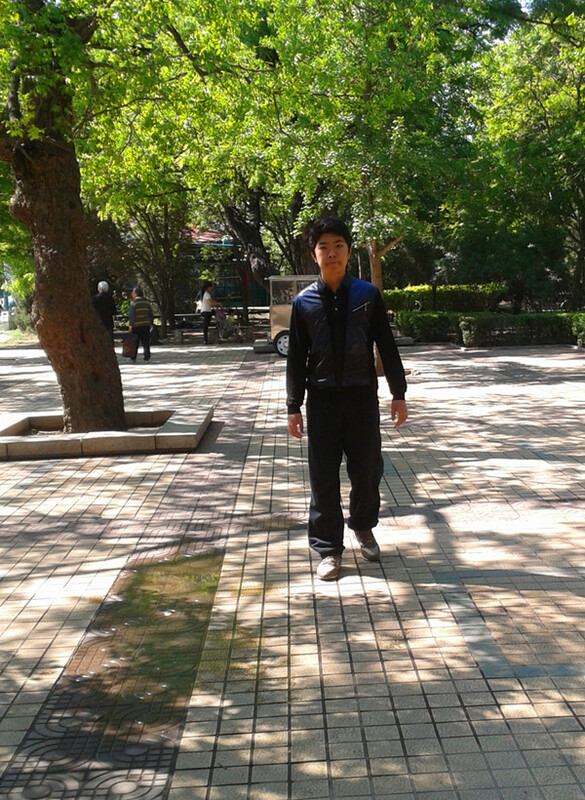 After class. 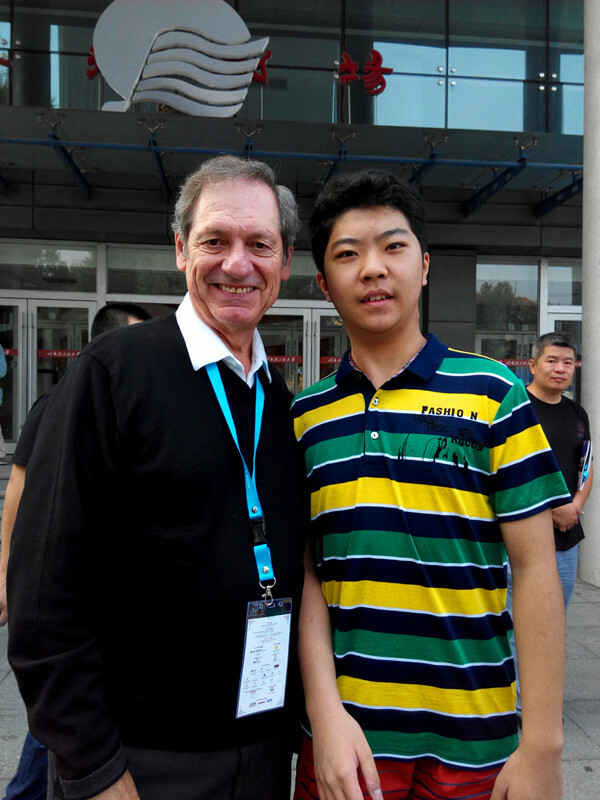 Mr. DAVID CERONE not forget to guide Tian yuan. 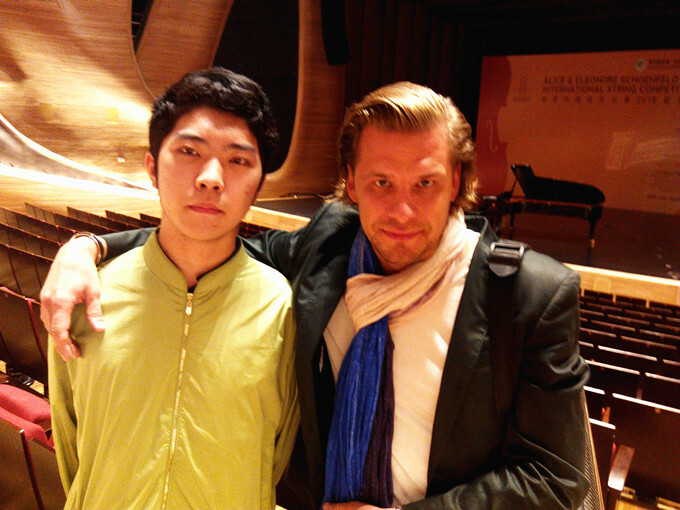 20140824 Tian Yuan and the Schoenfeld International string competition judges, Norway violinist OLE BOHN. 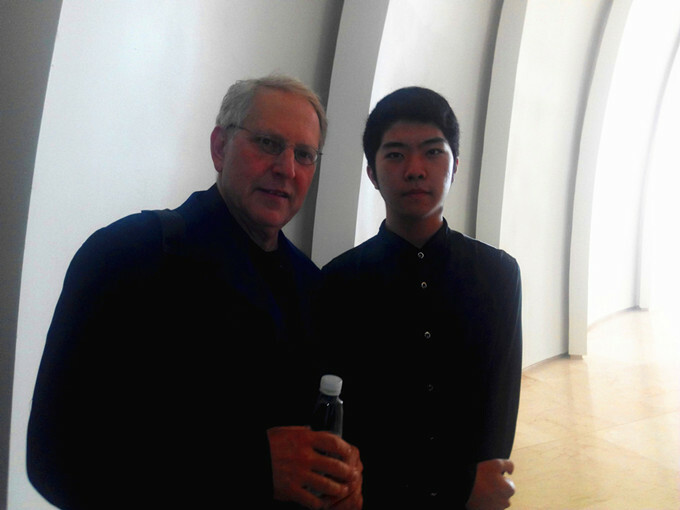 20140824 Tian Yuan and the Schoenfeld International string competition judges, Norway violinist NATHANTEL ROSEN. 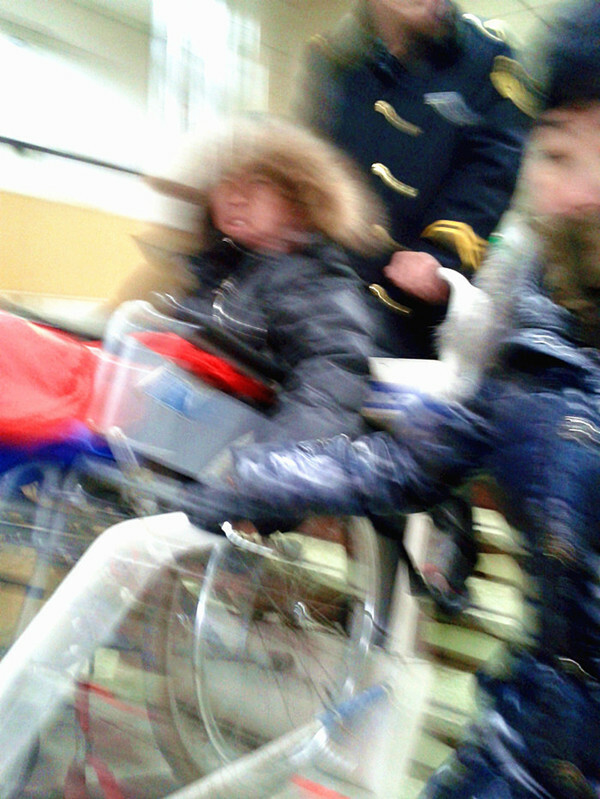 TIAN YUAN 2013 year-end A Fallen Misfortune，December 22 at up the road of professional lesson up, carelessly fall and hurt, leg fracture of tibia and fibula，Tian Yuan first reaction is to make a phone call for professional teacher and ask for leave.Peking Jishuitan Hospital to accept to cure and succeeded to do inside fix surgical operation.This is February 5, 2014, after operation accumulate water pond hospital to remove stitches by subway, was subjected to the passionate care of staff member when the Lama Temple and the chongwenmen to transfer , Lama Temple didn't elevator shaft, coming up six public security Lengs is to lift the t Tian Yuan to another floor . 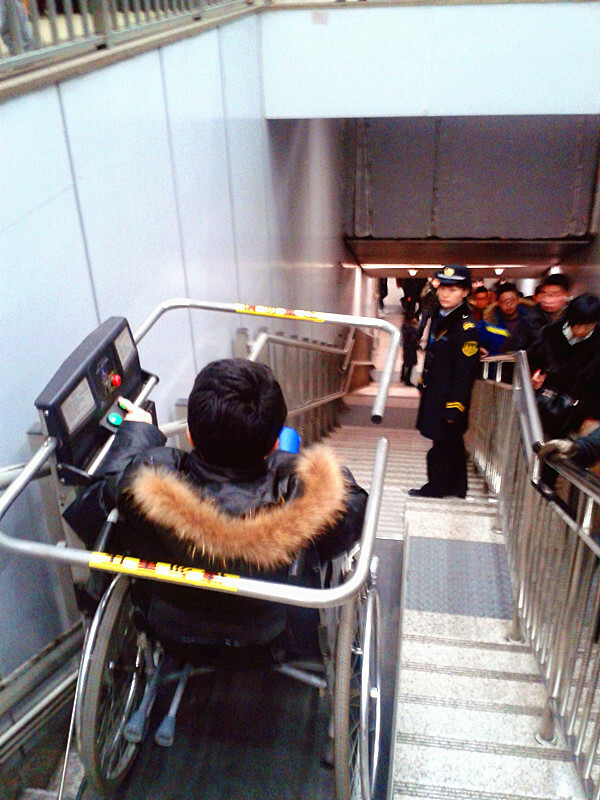 During the transfer of Chongwenmen metro, the subway staff to start the automatic transfer of specialized channels. The international service quality of Beijing Metro is fully tested. 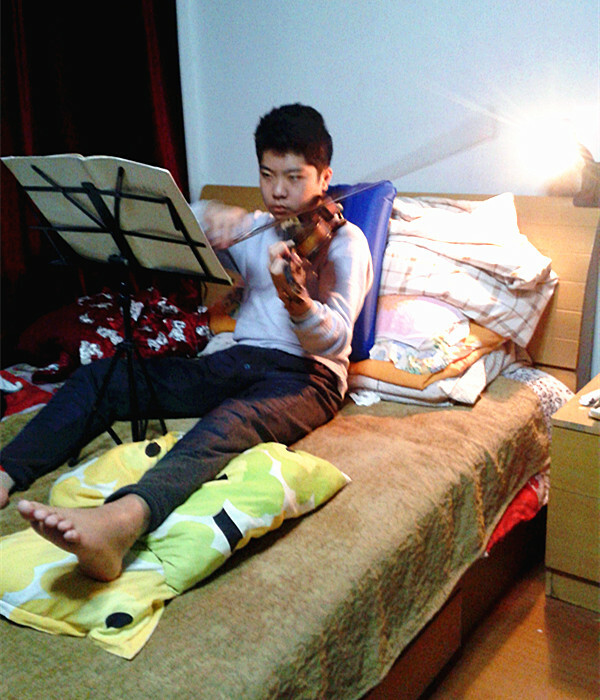 In March 2014, Tian Yuan bed injured prepare the professional course test and the Schoenfeld International string competition. Leng is tenacious perseverance to pull down the Saint Saens 《the introduction and Rondo capriccioso 》Saint Saens the third Concerto song and Bach's Preludes and Loure and Wieniawski's 《the Scherzo and tower Lantai pull》. 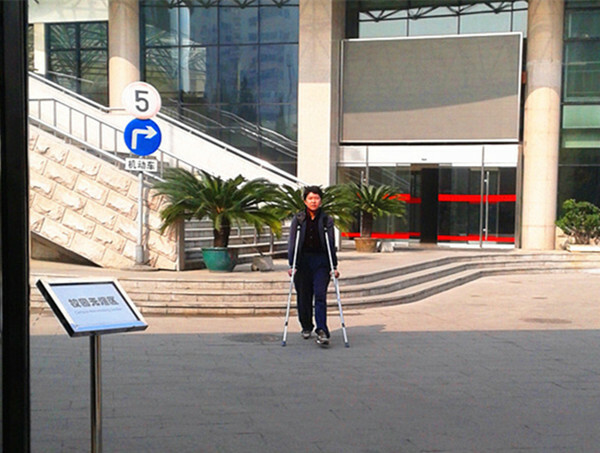 Tian Yuan after months of bed, a wheelchair, column a pair of crutches, today finally throw away the crutches, the in the mind and the same as the original full of sunshine, but the pace more firm. 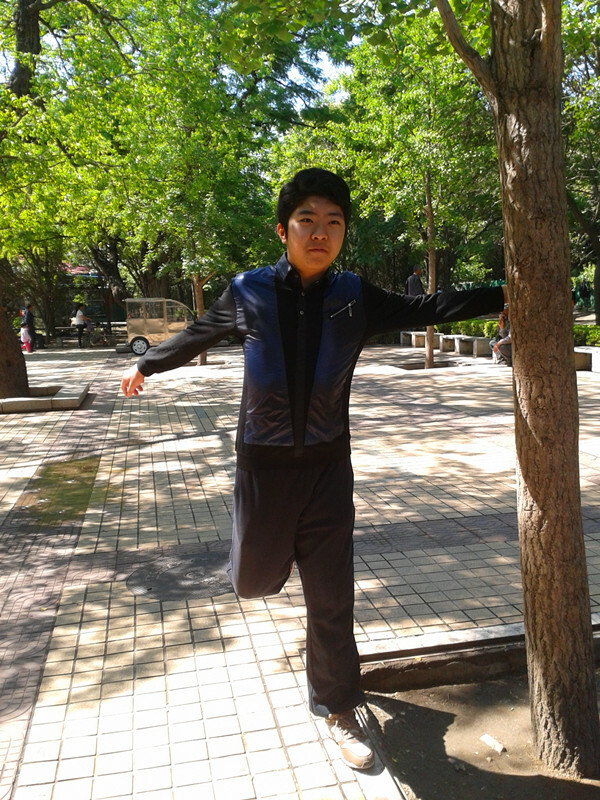 Tian Yuan has been using crutches and his right leg, right leg is quite powerful, but it is important to train the left leg. 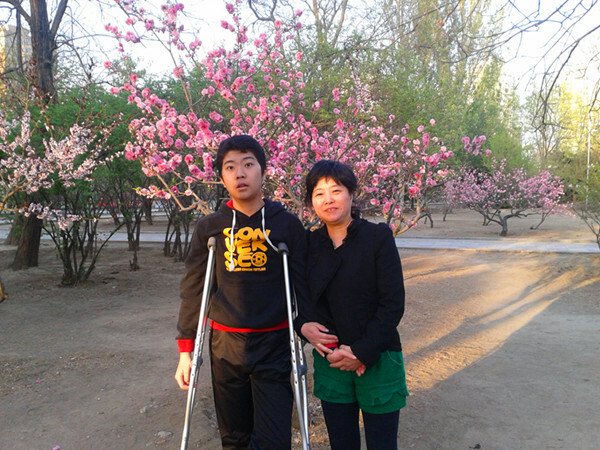 After the winter, in the spring of the season, the mother came to Beijing to visit Tian Yuan, in Beijing, Fangzhuang sports park. May 2014 sunny day, new semester two months later, Tian Yuan, leaning on a crutches to new spirit appeared in the middle school affiliated to the Central Conservatory of music in the classroom and campus, and was warmly welcomed by the teachers and students, he and indomitable willpower to fill on the delay of course, professional class repair test with excellent results over bad luck in 2013, with plate operation doggedly put challenges the Schoenfeld international competition fierce competition, fully embodies the indomitable spirit of a man in front of a major disaster to cease to struggle more than. 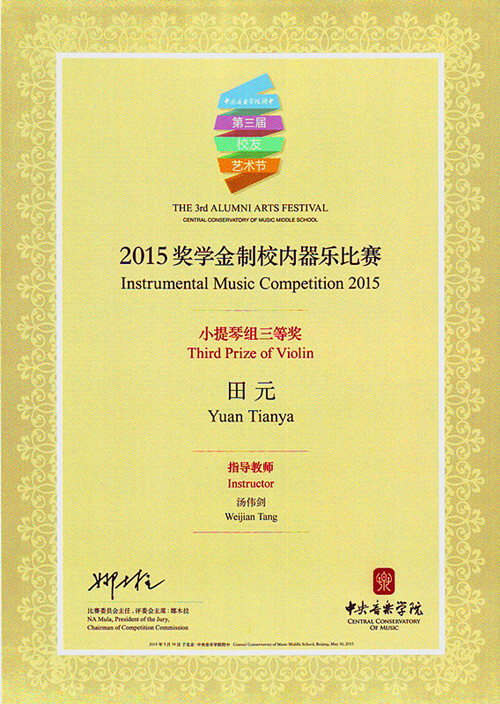 In 2015, under the careful guidance teacher Tang Weijian, Tian Yuan in the Central Conservatory of music school campus art festival winning a scholarship competition and won the third prize. 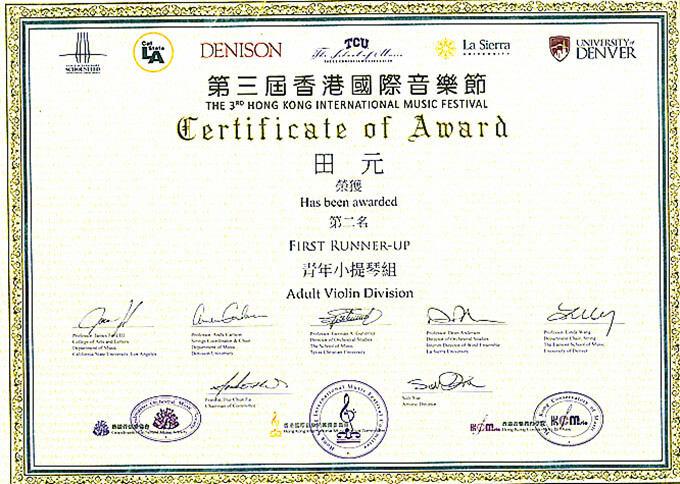 In the first round of the competition Momoka Shimoto played Mozart's Concerto song and Saint Saens introduction and Rondo capriccioso, ranking as the sixth; in the final Tian Yuan played Tchaikovsky Concerto in three movements, made the first good results, two rounds of comprehensive scoring results for third place. 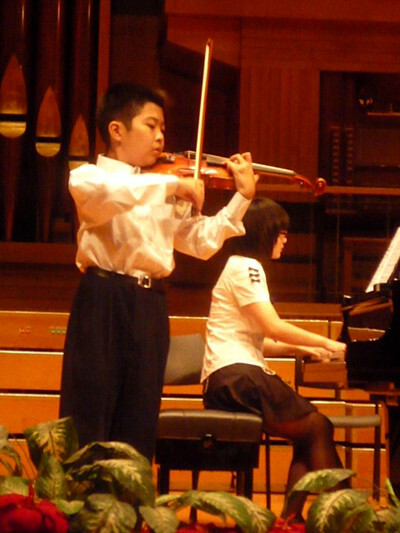 Tian Yuan playing the Tchaikovsky Concerto in particular by foreign judges highly evaluation from, from study in the United States and from Singapore master money boat are evaluated Tian Yuan in the short term precise playing old wood is in three movements. It was rare, and in the style of western music grasp side also is in place. 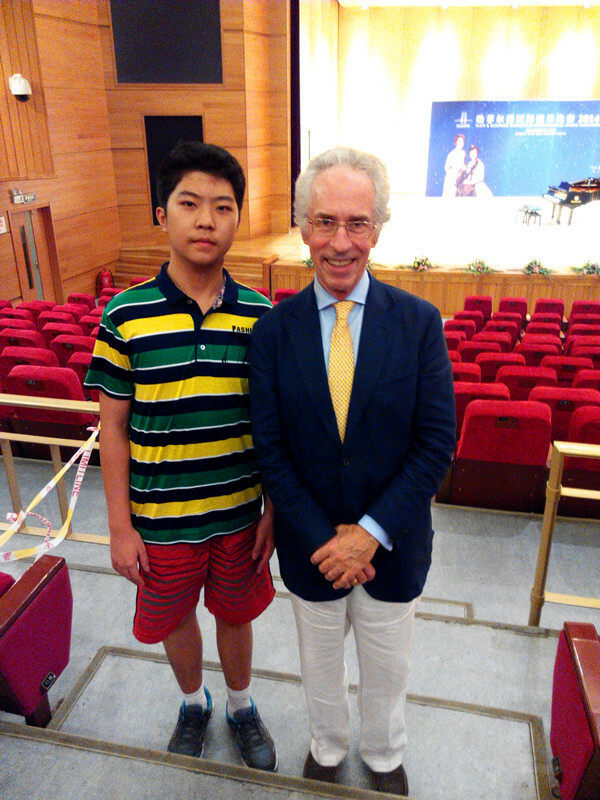 In January 4, 2016 outstanding student recital, Tian Yuan successful play adapted by Milstein without the accompaniment of virtuoso music "paganiniana" and elegant temperament, wonderful interpretation, setting off a climax of the concert, won the audience thunderous applause on the scene. 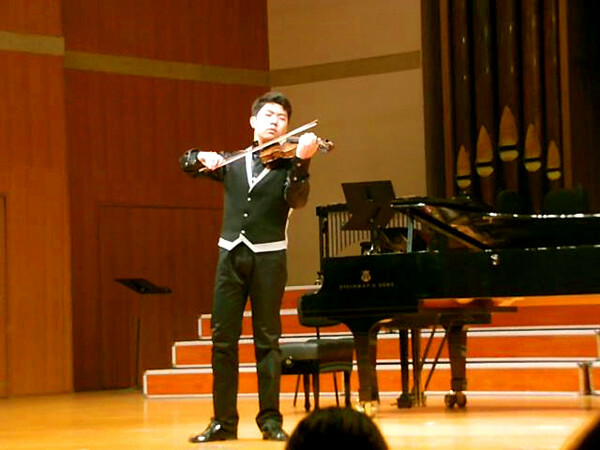 In June 20, 2016, the outstanding student performance, Tian Yuan again on stage performances, this time is the Tchaikovsky Violin Concerto third movement. 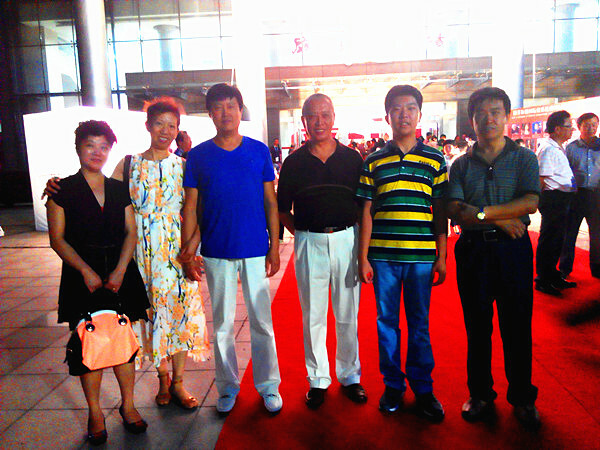 Tang teacher after the comment: Tian Yuan this performance than the campus art festival competition has made great progress. Tian Yuan playing more mature, this time Tian Yuan is not the same as ever, he completely in a calm state of mind and absorbed into the old wood of the Russian style of creation, incisively and vividly the natural and unrestrained freely interpretation of the the music, by the presence of all the audience a warm welcome. 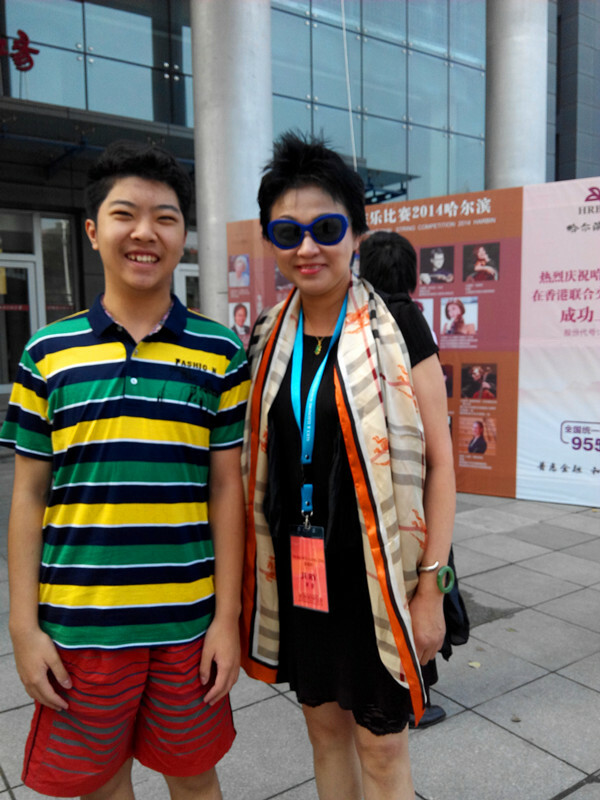 20160721 Tianyuan participated in the 2016 Field International String Competition, Tianyuan participated in the adult group because of age, here master gathered Tianyuan successful short-listed, although failed to enter the second round, but the first round of the game outstanding, successful Play Paganini 24 Capriccio and Mozart fourth concertoand with the pf acc Shi Jiayi teacher (from California) cooperate was very successful. 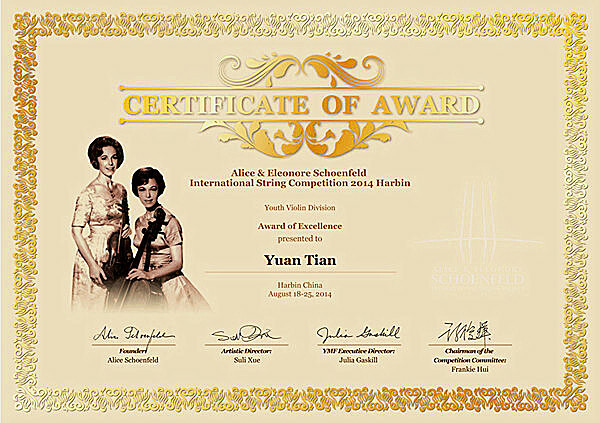 During The Schoenfeld International string competition 2016 , the competition organizing committee selection accept Mintz master open lectures, performances of Charles Camille Saint-Saens's introduction and Rondo capriccioso, highly violin jury president Mintz, Mintz to Tian Yuan many suggestions, finally, Mintz said the master Tian Yuan is a great player. Have to pay more attention to the details, you will succeed. 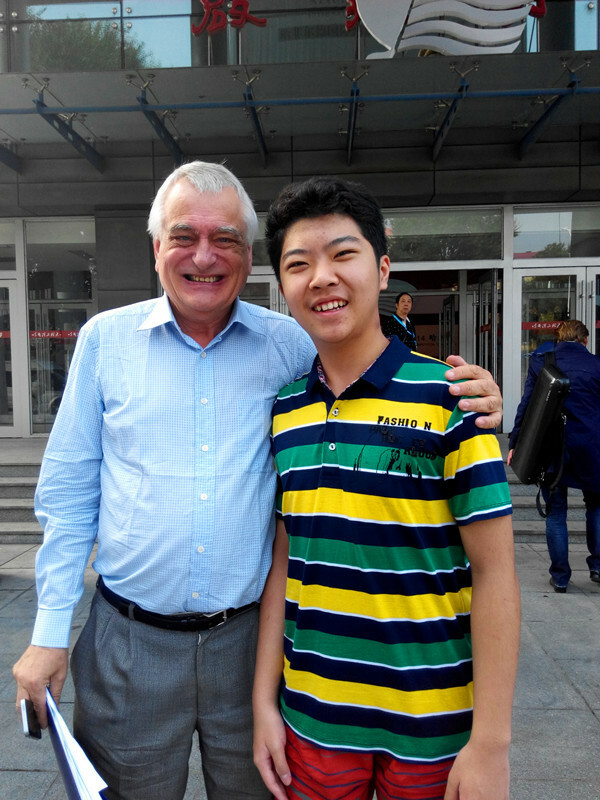 During The Schoenfeld International string competition 2016 ,In the general assembly arrangement and master interactive activities, Tian Yuan and Kirill.Troussov. 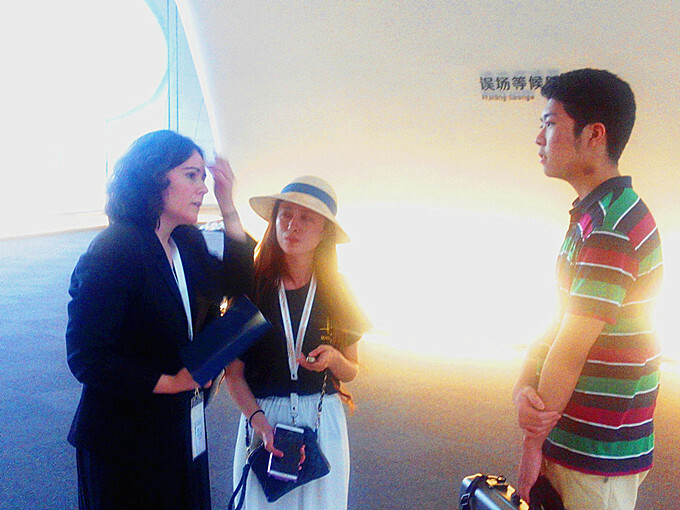 During The Schoenfeld International string competition 2016 ,Arrange and master interaction activities, this is Tian Yuan and Iceland violinist Judith ingolfsson to communicate. 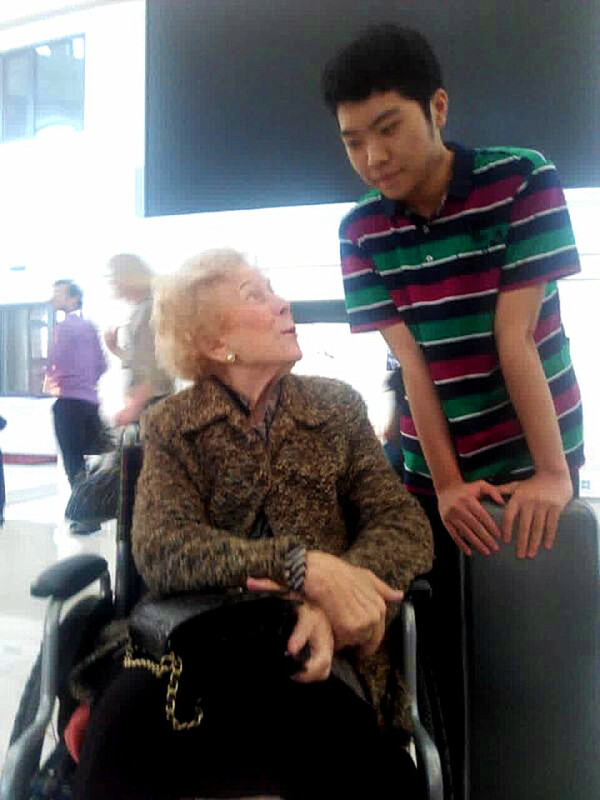 The Schoenfeld International string competition founder Mr.Alice Schoenfeld met Yuan Tian active and cordial conversation. Mr.Alice Schoenfeld said you were the youngest player in the game! 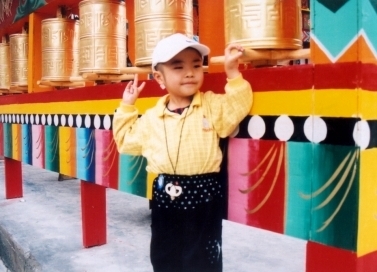 Too young to participate in this contest, after continuous exercise you will be promising! 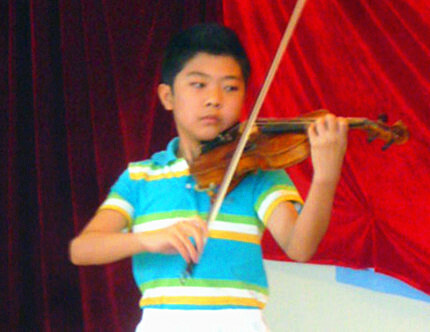 In late August 2016, Tian Yuan attended the Hongkong Art Festival young professional violin competition, Hongkong art festival music competition more than 150 global division of tens of thousands of people in the youth group, the violin in the final 25 people from all over the world, Tian Yuan played Paganini twenty-fourth Caprices, and Bartok unaccompanied Sonata, qualifying win second. The first is the South Korean. 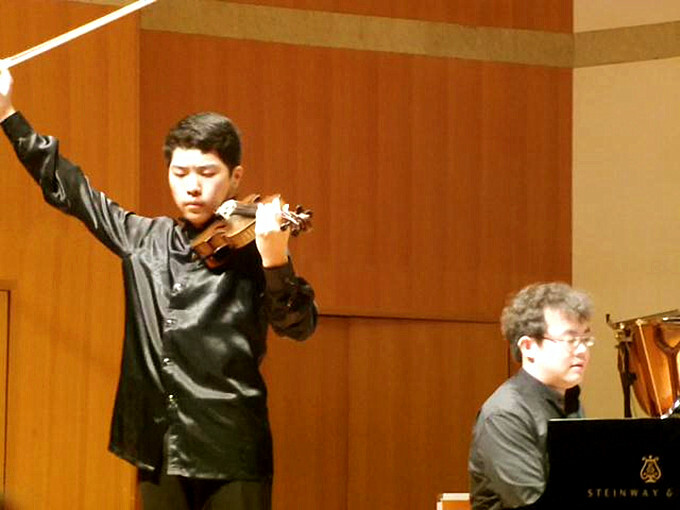 In December 26, 2016 at the Affiliated High School of Central Conservatory of Music outstanding student concert, Tian Yuan played Sibelius's Violin Concerto third movement, Tian Yuan's performance was a new breakthrough, a breakthrough technical difficulties; two improved methods. 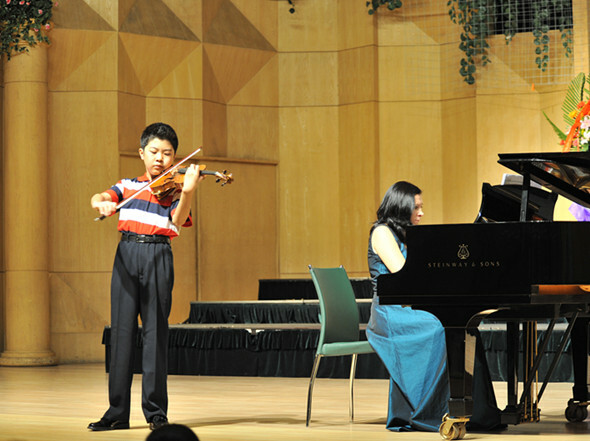 In addition, and from Singapore's piano accompaniment Ge Xiaozhe teacher very tacit understanding, obtained a good effect by the teacher's praise and audience's welcome. 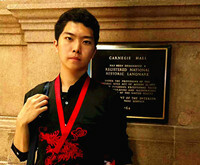 In 2017, Tian Yuan to succeed NYO-China completed the Sino US tour.7 the United States at the beginning of the month, after the baptism of training and Carnegie hall, the Sino US tour this pain to the brilliant process. 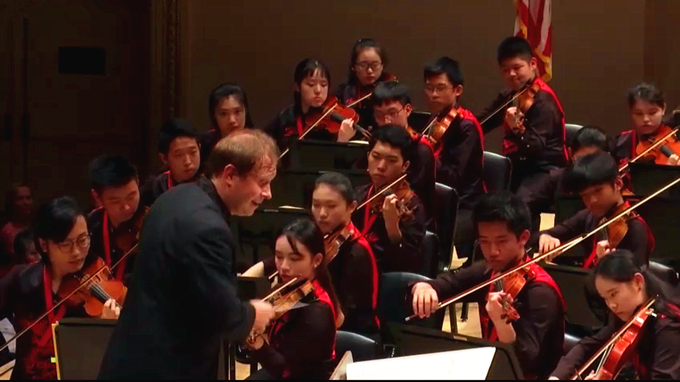 This is after 126 years, finally have a China the Youth Symphony Orchestra entered the Carnegie hall, it is NYO-China China Youth Symphony Orchestra. In Pennsylvania State University East of Fort Strauss training for two weeks, the American teacher group guidance and advanced ideas to let the children go farther. The voice training, master classes, concerts and master classes Quartet and the traditional idea of Alexander principle of practice, jazz appreciation, visit the Metropolitan Museum and the Yale University visit, greatly enhance the children's culture, enrich their artistic imagination, after the fifteen masters careful guidance and children hard to rehearsal. They are in the short term from the music and music sense of cooperation and understanding of the works have produced a qualitative leap.7 month 22 days premiered at Carnegie hall. 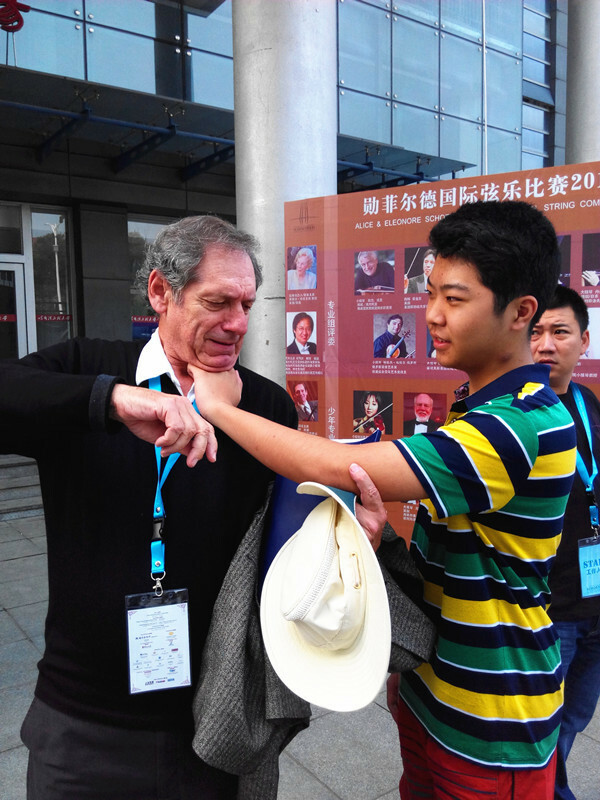 And with the success of a conductor Mollo from the United States Carnegie hall to Beijing concert hall, Suzhou Art Center, and then to the Shanghai Oriental Art Center, perfect over a period of nearly a month of training and the four Sino US tour. 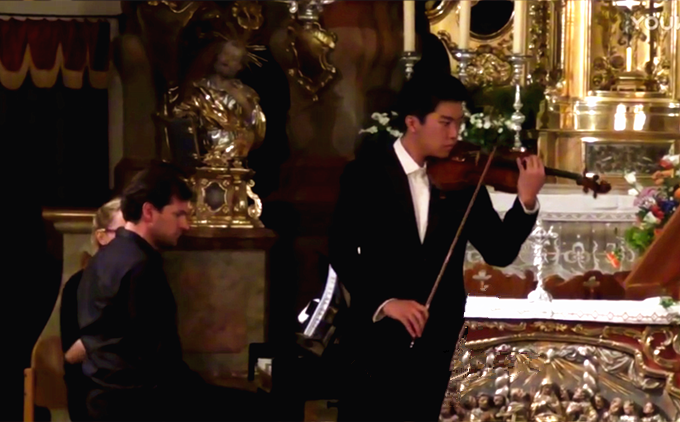 In August 2017, Tian Yuan Cavender attended the German Music Festival, the six masters of the master class. 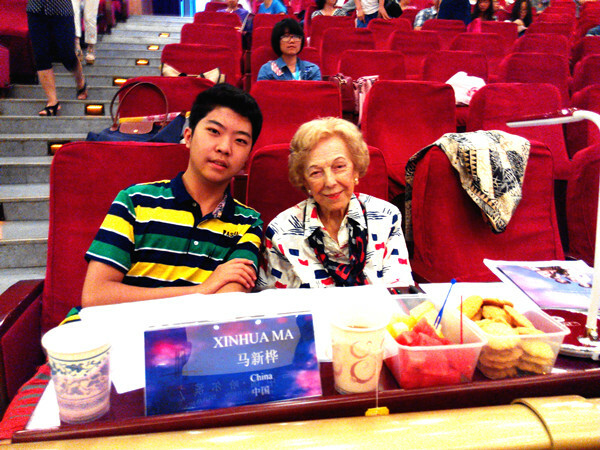 Several masters of Tian Yuan play, especially high Tchaikovsky Violin Concerto performance evaluation Tian Yuan, also made many valuable suggestions and comments, Tian Yuan said it is rewarding for me ah! 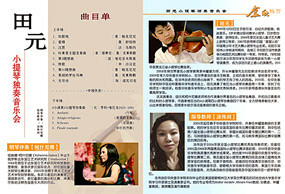 Tian Yuan in the music section of the game art, music festival founder producer Wang Xi very appreciative of Tian Yuan Tian Yuan play, was elected in four concerts held in July 16, 2017 in the Museum of young musicians violin concert, Tian Yuan played a Bach Sonata, won the masters and to high evaluation of the German audience. 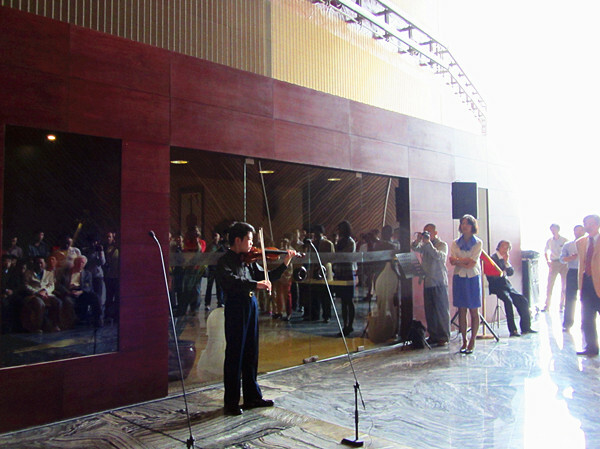 In August 22, 2017 the museum played on a violin by Paganin Ana Milstein, this is Tian Yuan's forte, once played many times at home, is playing the music known as changeable as clouds and rain, the audience stood up and cheered! 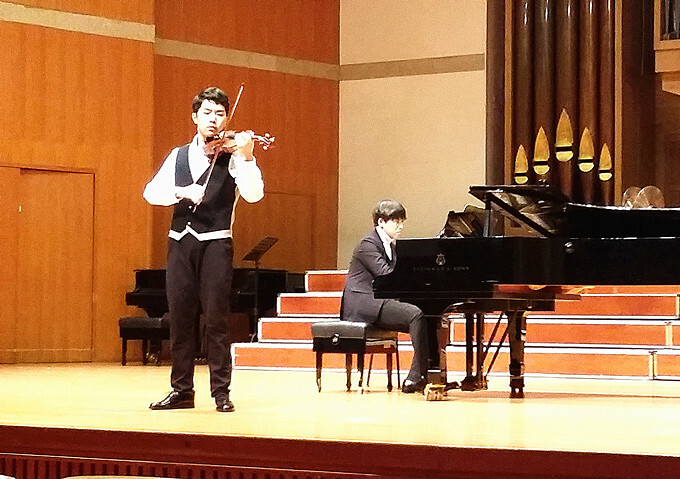 In August 27, 2017, Tian Yuan as the contest winners were chosen to take part in the KMF young musicians concert, four SOLO players played in California Quartet, which is the classic works by the write and draw freely as one wishes they play, play the most incisive. 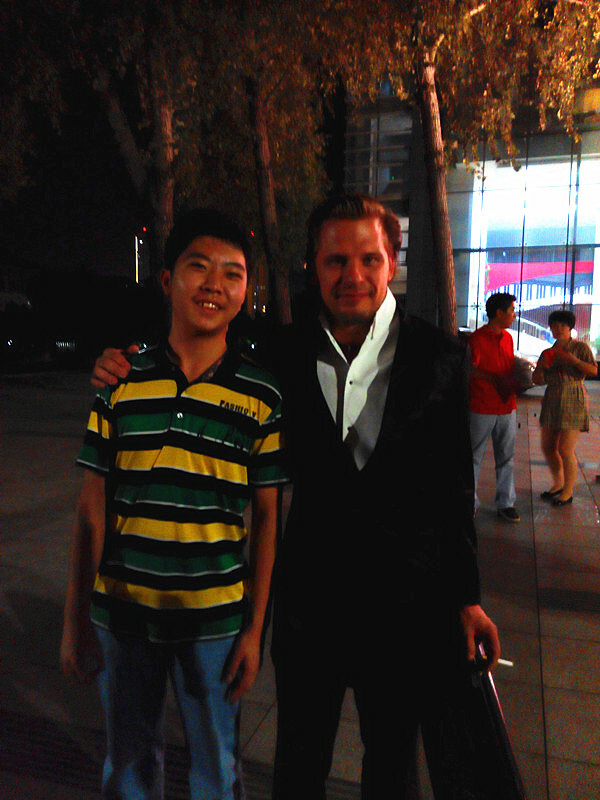 The masters and the German audience also gave a high evaluation of Tian Yuan playing. 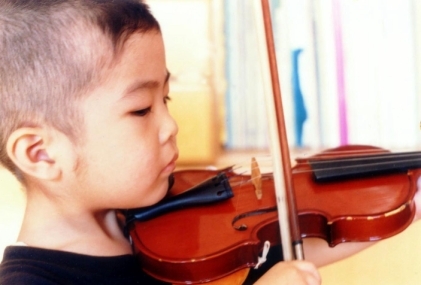 I started to play the violin when I was three and a half years old. 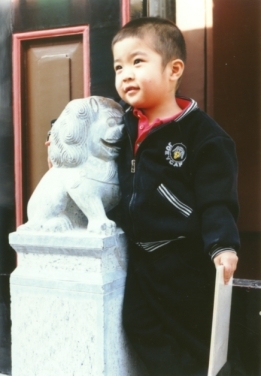 I made his first public performence at the age of four. 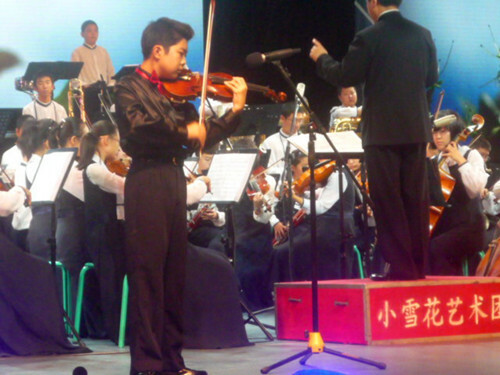 At the age of seven, I entered the Harbin Youth Palace School Symphony orchestra. 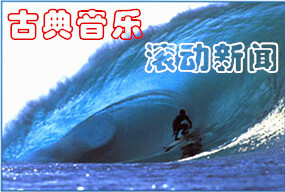 And I became the exceptional youngest player there. 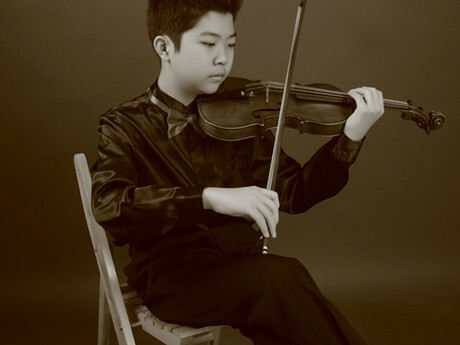 May 2007, with a superb skill, smooth and free of Schubert's Violin Solo"Bee", won the fourth "star torch" Chinese youth art talent selection activities in black Division of Longjiang primary school group A violin professional award. 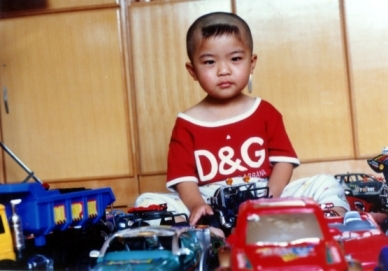 Tian Yuan in 1999 to December 2, was born in Harbin, in parental care, day bathed in Mozart music meandering of the sun, with Mozart's music generally happy and healthy artistic temperament, and strong curiosity, Tchaikovsky as the age of the driver in the often put his toy car to open the reload, observant, in many readily draw works, to melt into the flash of their observation and inspiration. 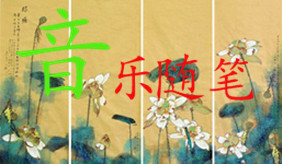 Bright, warm and hospitable, willing to help others. 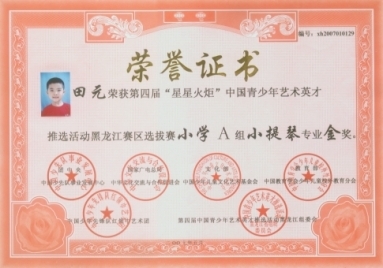 Two and a half into the Harbin City Public Security Bureau of Harbin City, Shangzhi kindergarten, into the three kindergarten, after attending primary school in Harbin Jingwei, the harmonious competition in the family, cultivating a positive sense of participation and competition, three and a half years old, started at home with the piano, after a year with a certain art independent learning will, in the heavy the academic pressure has also accumulated a lot of music, reading and Vivaldi Violin Concerto three movement A Violin Concerto in three movements, a violin concerto, Curtis Seitz fourth students in D major Concerto, Mozart Minuet has finished, Berio ninth Concerto, a goal: Belio's twenty-second concerto. 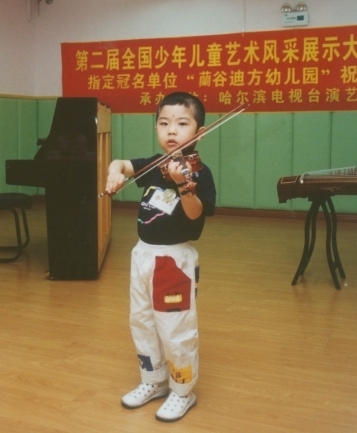 For the first time on the stage on May 8, 2004, held in Harbin City Board of education the talent contest outcrop temporarily angle, when at the age of four, he in hundreds of players come to the fore in the "Little Star Variations of a Mozart, award for outstanding performance. 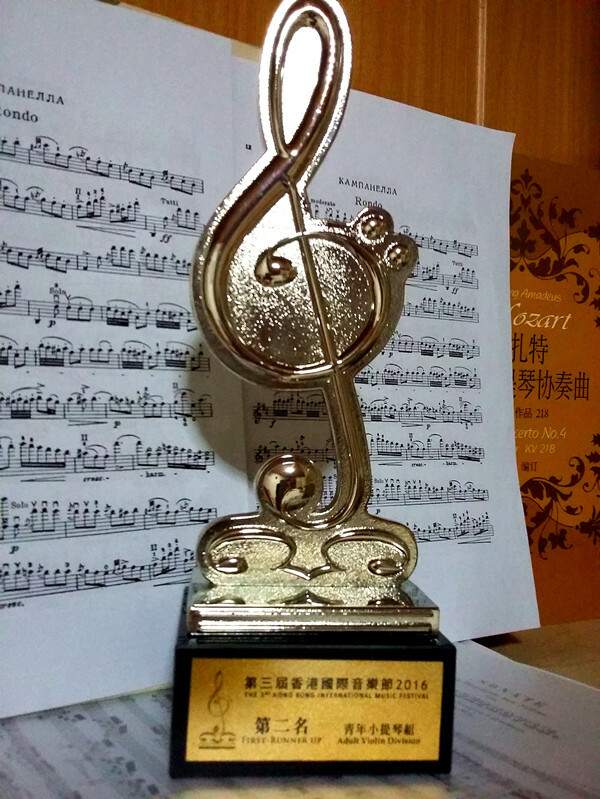 In two months after June held the National Children's art style exhibition contest, with the song "flowers and young", won the division of Heilongjiang preschool set of bronze. 2005 August 6 in the Central Conservatory of music outside the grading by three level, in 2006 August passed five level, in 2007 January through grade 6, in May 2007, to a piece of skill, fluent Schubert's music for Solo Violin "bee", in one fell swoop won the fourth session of the "star torch" China Youth art elite selection of activities division of Heilongjiang primary group a violin professional gold. 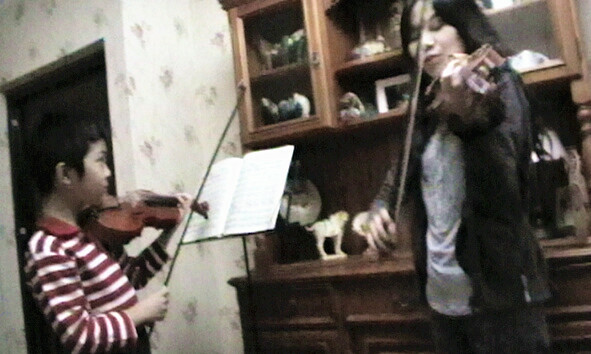 In June 2007, only three games in Harbin City Board of Education held, Daoli District primary grand prize, after a month, to a piece of the new tracks Novacek "perpetual motion", in one fell swoop won Harbin board of education only three games first and is currently preparing for the Central Conservatory of music science college grading. 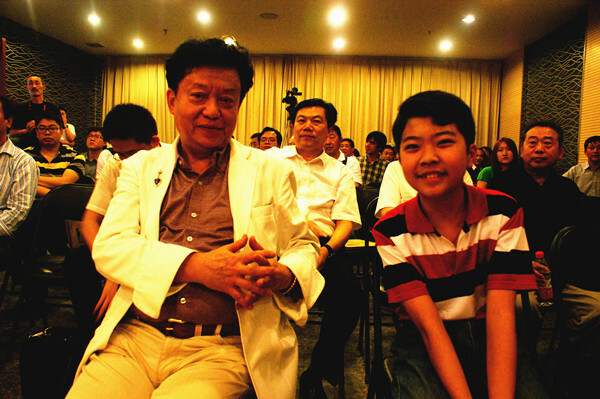 2008 for Tian Yuan, was an extraordinary year, do not abandon the weak at the age of 8, bid farewell to friends and relatives, leave the hometown, bid farewell to his alma mater, my dear teachers and classmates, went to Beijing to Fangzhuang to prepare for the primary school of Central Conservatory of Music Road, after several months of hard study, hard to practice, finally to Clay Cel's two etudes, a solo "perpetual motion", a song "Bruch" Concerto, with consummate performance, from the University and high school more than thirty judges the teacher's praise, I was admitted into Central Conservatory of Music school, elaborate the achievements of Lin Yaoji and the teacher, and teacher Tang Weijian for half a year work hard work is absolutely inseparable. There are many friends and support are inseparable. 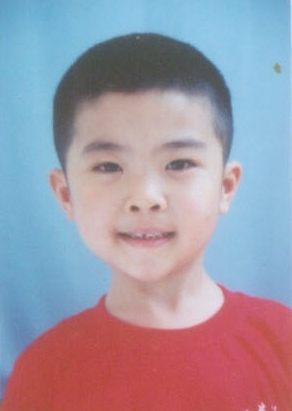 Especially Chen Kang, Chen Kefei, Xue Chengqian, Mei Hejun, Si Qun Li, Zhang Haibin, Lian Hua Zhang, mountain permanent Zhuang, Jun, Zhu Guang Sheng and other friends and teachers, they are from various aspects to give strong support, Tian Yuan is not forget. 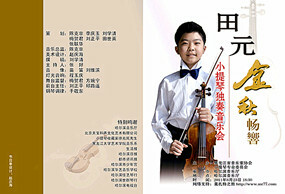 concert, 10 year old Tian Yuan play Vieuxtemp the fourth Violin Concerto. 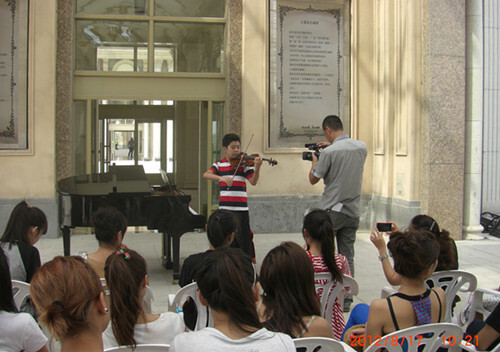 On August 23, 2011, 11 year old Tian Yuan in Harbin music hall successfully held the autumn Chang ring - Tian Yuan violin solo concert, the audience was packed, silent listen to Tian Yuan playedfour movements: the first 11 world famous violin solo and the famous Belgian composer Vieuxtemp Violin Concerto. A strong response,and finally that a British composer solo of "love". educati leadership and more than two thousand of the audience warm welcome. 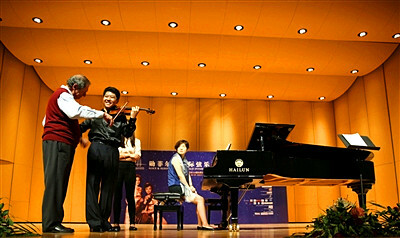 concerto " Butterfly Lovers "
Mr. Bian Zushan's high evaluation.